↑ Krauthammer, C. (2011-12-29). "Are we alone in the universe?". The Washington Post. สืบค้นเมื่อ 2015-01-06. ↑ Grevesse, N.; Noels, A.; Sauval, A. J. (1996). "Standard abundances" (PDF). ASP Conference Series. 99. The Sun is a normal star, though dispersion exists. ↑ Chris Impe (2011). The Living Cosmos: Our Search for Life in the Universe. Cambridge University Press. p. 282. ISBN 978-0-521-84780-3. ↑ Aguirre, V. Silva; G. R. Davies; S. Basu; J. Christensen-Dalsgaard; O. Creevey; T. S. Metcalfe; T. R. Bedding; และคณะ (2015). "Ages and fundamental properties of Kepler exoplanet host stars from asteroseismology". Monthly Notices of the Royal Astronomical Society. 452 (2): 2127. arXiv:1504.07992. Bibcode:2015MNRAS.452.2127S. doi:10.1093/mnras/stv1388. Accepted for publication in MNRAS. See Figure 15 in particular. ↑ Schilling, G. (2012-06-13). "ScienceShot: Alien Earths Have Been Around for a While". Science. สืบค้นเมื่อ 2015-01-06. ↑ Buchhave, L. A.; และคณะ (2012-06-21). "An abundance of small exoplanets around stars with a wide range of metallicities". Nature. 486: 375. Bibcode:2012Natur.486..375B. doi:10.1038/nature11121. PMID 22722196. ↑ 9.0 9.1 9.2 Hart, Michael H. (1975). "Explanation for the Absence of Extraterrestrials on Earth". Quarterly Journal of the Royal Astronomical Society. 16: 128–135. Bibcode:1975QJRAS..16..128H. ↑ Jones, E. M. (1985-03-01). ""Where is everybody?" 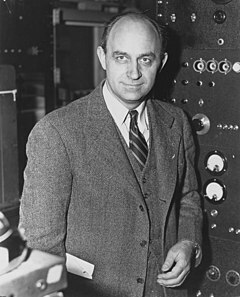 An account of Fermi's question"" (PDF). Los Alamos National Laboratory. OSTI 785733. สืบค้นเมื่อ 2013-01-12. ↑ Overbye, Dennis (2015-08-03). "The Flip Side of Optimism About Life on Other Planets". The New York Times. สืบค้นเมื่อ 2015-10-29. ↑ Webb, Stephen (2015). If the Universe Is Teeming with Aliens... Where Is Everybody? Seventy five Solutions to the Fermi Paradox and the Problem of Extraterrestrial Life (2nd ed.). Copernicus Books. ISBN 978-3-319-13235-8. ↑ Urban, Tim (2014-06-17). "The Fermi Paradox". Huffington Post. สืบค้นเมื่อ 2015-01-06. ↑ Cain, Fraser (2013-06-03). "How Many Stars are There in the Universe?". Universe Today. สืบค้นเมื่อ 2016-05-25. ↑ Craig, Andrew (2003-07-22). "Astronomers count the stars". BBC News. สืบค้นเมื่อ 2010-04-08. ↑ See Hart for an example of "no aliens are here", and Webb for an example of the more general "We see no signs of intelligence anywhere". ↑ J. Richard Gott, III. "Chapter 19: Cosmological SETI Frequency Standards". In Zuckerman, Ben; Hart, Michael. Extraterrestrials; Where Are They?. p. 180. ↑ Freitas, Robert A. (1985). "There is no Fermi Paradox". Icarus. 62 (3): 518–520. Bibcode:1985Icar...62..518F. doi:10.1016/0019-1035(85)90192-7. ISSN 0019-1035. ↑ Shostak, Seth (2001-10-25). "Our Galaxy Should Be Teeming With Civilizations, But Where Are They?". Space.com. Space.com. Archived from the original on 2006-04-15. สืบค้นเมื่อ 2014-10-14. ↑ Dunn, Alan (1950-05-20). "Uncaptioned cartoon". The New Yorker. สืบค้นเมื่อ 2010-08-19. ↑ Tsiolkovsky, K, 1933, The Planets are Occupied by Living Beings, Archives of the Tsiolkovsky State Museum of the History of Cosmonautics, Kaluga, Russia. See original text in Russian Wikisource. ↑ Wesson, Paul (1990). "Cosmology, extraterrestrial intelligence, and a resolution of the Fermi-Hart paradox". Quarterly Journal of the Royal Astronomical Society. 31: 161–170. Bibcode:1990QJRAS..31..161W. ↑ Landis, Geoffrey A. (1998). "The Fermi Paradox: An Approach Based on Percolation Theory". Journal of the British Interplanetary Society. 51: 163–166. Bibcode:1998JBIS...51..163L. สืบค้นเมื่อ 2016-06-12. ↑ Gray, Robert H. (2015). "The Fermi paradox is neither Fermi's nor a paradox". Astrobiology. 15 (3): 195–199. arXiv:1605.09187. Bibcode:2015AsBio..15..195G. doi:10.1089/ast.2014.1247. ISSN 1531-1074. ↑ 30.0 30.1 30.2 Brin, Glen David (1983). "The 'Great Silence': The Controversy Concerning Extraterrestrial Intelligent Life". Quarterly Journal of the Royal Astronomical Society. 24: 283–309. Bibcode:1983QJRAS..24..283B. ↑ Annis, James (1999). "An Astrophysical Explanation for the Great Silence". arΧiv:astro-ph/9901322. ↑ Bostrom, Nick (2007). "In Great Silence there is Great Hope" (PDF). สืบค้นเมื่อ 2010-09-06. ↑ 33.0 33.1 Milan M. Ćirković (2009). "Fermi's Paradox - The Last Challenge for Copernicanism?". Serbian Astronomical Journal. 178 (178): 1–20. arXiv:0907.3432. Bibcode:2009SerAJ.178....1C. doi:10.2298/SAJ0978001C. ↑ Drake, F.; Sobel, D. (1992). Is Anyone Out There? The Scientific Search for Extraterrestrial Intelligence. Delta. pp. 55–62. ISBN 0-385-31122-2. ↑ Behroozi, Peter; Peeples, Molly S. (2015-12-01). "On The History and Future of Cosmic Planet Formation". MNRAS. 454 (2): 1811–1817. arXiv:1508.01202. Bibcode:2015MNRAS.454.1811B. doi:10.1093/mnras/stv1817. ↑ Jheeta, Sohan (2013). "Final frontiers: the hunt for life elsewhere in the Universe". Astrophys Space Sci. 348: 1–10. Bibcode:2013Ap&SS.348....1J. doi:10.1007/s10509-013-1536-9. ↑ Wade, Nicholas (1975). "Discovery of pulsars: a graduate student's story". Science. 189 (4200). pp. 358–364. Bibcode:1975Sci...189..358W. doi:10.1126/science.189.4200.358. ↑ "NASA/CP2007-214567: Workshop Report on the Future of Intelligence in the Cosmos" (PDF). NASA. Archived from the original (PDF) on 2014-08-11. ↑ Whitmire, Daniel P.; David P. Wright. (1980). "Nuclear waste spectrum as evidence of technological extraterrestrial civilizations". Icarus. 42.1: 149–156. Bibcode:1980Icar...42..149W. doi:10.1016/0019-1035(80)90253-5. ↑ Boyajian, T. S.; LaCourse, D. M.; Rappaport, S. A.; Fabrycky, D.; Fischer, D. A.; Gandolfi, D.; Kennedy, G. M.; Liu, M. C.; Moor, A.; Olah, K.; Vida, K.; Wyatt, M. C.; Best, W. M. J.; Ciesla, F.; Csak, B.; Dupuy, T. J.; Handler, G.; Heng, K.; Korhonen, H.; Kovacs, J.; Kozakis, T.; Kriskovics, L.; Schmitt, J. R.; Szabo, Gy. ; Szabo, R.; Wang, J.; Goodman, S.; Hoekstra, A.; Jek, K. J. (2016-04-21). "Planet Hunters IX. KIC 8462852 - where's the flux?". MNRAS. 457 (4): 3988–4004. arXiv:1509.03622. Bibcode:2016MNRAS.457.3988B. doi:10.1093/mnras/stw218. ↑ Anderson, Ross (2015-10-13). "The Most Mysterious Star in our Galaxy". The Atlantic. ↑ O'Neill, Ian (2015-10-14). "Has Kepler Discovered an Alien Megastructure?". Discovery News. ↑ Wright, Jason T.; Cartier, Kimberly M. S.; Zhao, Ming; Jontof-Hutter, Daniel; Ford, Eric B. (2015). "The Ĝ Search for Extraterrestrial Civilizations with Large Energy Supplies. IV. The Signatures and Information Content of Transiting Megastructures". The Astrophysical Journal. 816: 17. arXiv:1510.04606. Bibcode:2016ApJ...816...17W. doi:10.3847/0004-637X/816/1/17. ↑ Mullen, Leslie (2002). "Alien Intelligence Depends on Time Needed to Grow Brains". Astrobiology Magazine. Space.com. Archived from the original on 2003-02-12. สืบค้นเมื่อ 2006-04-21. ↑ Udry, S.; Bonfils, X.; Delfosse, X.; Forveille, T.; Mayor, M.; Perrier, C.; Bouchy, F.; Lovis, C.; Pepe, F.; Queloz, D.; Bertaux, J.-L. (2007). "The HARPS search for southern extra-solar planets" (PDF). Astronomy and Astrophysics. 469 (3): L43. arXiv:0704.3841. Bibcode:2007A&A...469L..43U. doi:10.1051/0004-6361:20077612. Archived from the original (PDF) on 2010-10-08. ↑ "Kepler: About the Mission". NASA. The Kepler Mission, NASA Discovery mission #10, is specifically designed to survey a portion of our region of the Milky Way galaxy to discover dozens of Earth-size planets in or near the habitable zone and determine how many of the billions of stars in our galaxy have such planets. ↑ Bracewell, R. N. (1960). "Communications from Superior Galactic Communities". Nature. 186 (4726): 670–671. Bibcode:1960Natur.186..670B. doi:10.1038/186670a0. ↑ Papagiannis, M. D. (1978). "Are We all Alone, or could They be in the Asteroid Belt?". Quarterly Journal of the Royal Astronomical Society. 19: 277–281. Bibcode:1978QJRAS..19..277P. ↑ Freitas, Robert A. Jr. (November 1983). "Extraterrestrial Intelligence in the Solar System: Resolving the Fermi Paradox". Journal of the British Interplanetary Society. 36. pp. 496–500. Bibcode:1983JBIS...36..496F. ↑ Freitas, Robert A Jr; Valdes, F (1985). "The search for extraterrestrial artifacts (SETA)". Acta Astronautica. 12 (12): 1027–1034. Bibcode:1985AcAau..12.1027F. doi:10.1016/0094-5765(85)90031-1. สืบค้นเมื่อ 2010-08-19. ↑ Dyson, Freeman J. (1960). "Search for Artificial Stellar Sources of Infra-Red Radiation". Science. 131 (3414): 1667–1668. Bibcode:1960Sci...131.1667D. doi:10.1126/science.131.3414.1667. PMID 17780673. ↑ 60.0 60.1 Wright, J. T.; Mullan, B.; Sigurðsson, S.; Povich, M. S. (2014). "The Ĝ Infrared Search for Extraterrestrial Civilizations with Large Energy Supplies. I. Background and Justification". The Astrophysical Journal. 792: 26. arXiv:1408.1133. Bibcode:2014ApJ...792...26W. doi:10.1088/0004-637X/792/1/26. ↑ 61.0 61.1 Wright, J. T.; Griffith, R.; Sigurðsson, S.; Povich, M. S.; Mullan, B. (2014). "The Ĝ Infrared Search for Extraterrestrial Civilizations with Large Energy Supplies. II. Framework, Strategy, and First Result". The Astrophysical Journal. 792: 27. arXiv:1408.1134. Bibcode:2014ApJ...792...27W. doi:10.1088/0004-637X/792/1/27. ↑ "Fermilab Dyson Sphere search program". Fermi National Accelerator Laboratory. สืบค้นเมื่อ 2008-02-10. ↑ Wright, J. T.; Mullan, B; Sigurdsson, S; Povich, M. S (2014). "The Ĝ Infrared Search for Extraterrestrial Civilizations with Large Energy Supplies. III. The Reddest Extended Sources in WISE". The Astrophysical Journal Supplement Series. 217 (2): 25. arXiv:1504.03418. Bibcode:2015ApJS..217...25G. doi:10.1088/0067-0049/217/2/25. ↑ "Alien Supercivilizations Absent from 100,000 Nearby Galaxies". Scientific American. 2015-04-17. ↑ Andersen, Ross (2015-10-13). "The Most Mysterious Star in Our Galaxy". The Atlantic. สืบค้นเมื่อ 2015-10-13. ↑ Williams, Lee (2015-10-15). "Astronomers may have found giant alien 'megastructures' orbiting star near the Milky Way". The Independent. สืบค้นเมื่อ 2015-10-15. ↑ Plait, Phil (2015-10-14). "Did Astronomers Find Evidence of an Alien Civilization? (Probably Not. But Still Cool.)". Slate Blog. Archived from the original on 2018-10-21. ↑ "New Clues as to Why Boyajian's Star is Dimming". 2016-12-19. doi:10.1103/Physics.9.150. ↑ Ward, Peter D.; Brownlee, Donald (2000-01-14). Rare Earth: Why Complex Life is Uncommon in the Universe (1st ed.). Springer. p. 368. ISBN 978-0-387-98701-9. ↑ "The earliest Cambrian record of animals and ocean geochemical change". 2010. doi:10.1130/B30346.1. ↑ "New Timeline for Appearances of Skeletal Animals in Fossil Record Developed by UCSB Researchers". The Regents of the University of California. 2010-11-10. Archived from the original on 2011-12-14. ↑ "Fossils, molecules and embryos: new perspectives on the Cambrian explosion". 1999. PMID 9927587. ↑ "At the origin of animals: the revolutionary cambrian fossil record". 2013. doi:10.2174/13892029113149990011. ↑ "The Cambrian conundrum: early divergence and later ecological success in the early history of animals". 2011. doi:10.1126/science.1206375. ↑ "Chronology of early Cambrian biomineralization". 2012. doi:10.1017/s0016756811000720. ↑ "The Cambrian "explosion" of metazoans and molecular biology: would Darwin be satisfied?". 2003. PMID 14756326. ↑ Lineweaver, Charles H (2008). Paleontological tests: human-like intelligence is not a convergent feature of evolution. From fossils to astrobiology. Springer. pp. 353–368. arXiv:0711.1751. Bibcode:2007arXiv0711.1751L. ↑ Steven V. W. Beckwith (2008). "Detecting Life-bearing Extrasolar Planets with Space Telescopes". The Astrophysical Journal. IOP Publishing. 684 (2, ): 1404–1415. arXiv:0710.1444. Bibcode:2008ApJ...684.1404B. doi:10.1086/590466. ↑ 81.0 81.1 Tarter, Jill (2006). "What is SETI?". Annals of the New York Academy of Sciences. 950 (1): 269–75. Bibcode:2001NYASA.950..269T. doi:10.1111/j.1749-6632.2001.tb02144.x. PMID 11797755. ↑ "The Intelligent-Life Lottery". The New York Times. 2014-08-18. ↑ "Is a Climate Disaster Inevitable?". The New York Times. 2015-01-17. ↑ Bostrom, Nick. 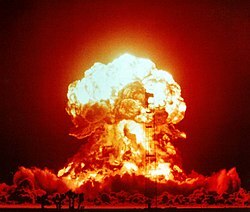 "Existential Risks Analyzing Human Extinction Scenarios and Related Hazards". สืบค้นเมื่อ 2009-10-04. ↑ Sagan, Carl. "Cosmic Search Vol. 1 No. 2". Cosmic Search Magazine. สืบค้นเมื่อ 2015-07-21. ↑ Soter, Steven (2005). "SETI and the Cosmic Quarantine Hypothesis". Astrobiology Magazine. Space.com. สืบค้นเมื่อ 2006-05-03. ↑ Archer, Michael (1989). "Slime Monsters Will Be Human Too". Aust. Nat. Hist. 22: 546–547. ↑ "The Aliens Are Silent Because They Are Extinct". Australian National University. 2016-01-21. สืบค้นเมื่อ 2016-01-22. ↑ Nick Bostrom; Milan M. Ćirković. "12.5: The Fermi Paradox and Mass Extinctions". Global catastrophic risks. ↑ Guth, Alan (2007). "Eternal Inflation and its Implications" (PDF). Journal of Physics A: Mathematical and Theoretical. 40 (25): 6811–6826. arXiv:hep-th/0702178. Bibcode:2007JPhA...40.6811G. doi:10.1088/1751-8113/40/25/S25. ↑ Vakoch, Douglas (2001-11-15). "Decoding E.T. : Ancient Tongues Point Way To Learning Alien Languages". SETI Institute. Archived from the original on 2009-05-23. สืบค้นเมื่อ 2010-08-19. ↑ A bot will complete this citation soon. Click here to jump the queue"Observational Signatures of Self-Destructive Civilisations". 2015. arΧiv:1507.08530 [astro-ph.EP]. ↑ Newman, W.T. ; Sagan, C. (1981). "Galactic civilizations: Population. dynamics and interstellar diffusion". Icarus. 46 (3): 293–327. Bibcode:1981Icar...46..293N. doi:10.1016/0019-1035(81)90135-4. ↑ Brin, Glen David (1983). "The 'Great Silence': The Controversy Concerning Extraterrestrial Intelligent Life". Quarterly Journal of the Royal Astronomical Society. 24: 287, 298. Bibcode:1983QJRAS..24..283B. ↑ 100.0 100.1 Landis, Geoffrey (1998). "The Fermi Paradox: An Approach Based on Percolation Theory". Journal of the British Interplanetary Society. 51: 163–166. Bibcode:1998JBIS...51..163L. ↑ Scheffer, L.K. (1994). "Machine Intelligence, the Cost of Interstellar Travel and Fermi's Paradox". Quarterly Journal of the Royal Astronomical Society. 35. Bibcode:1994QJRAS..35..157S. ↑ Baum, Seth D; Haqq-Misra, Jacob D; Domagal-Goldman, Shawn D (2011). "Would contact with extraterrestrials benefit or harm humanity? A scenario analysis". Acta Astronautica. 68 (11): 2114–2129. arXiv:1104.4462. Bibcode:2011AcAau..68.2114B. doi:10.1016/j.actaastro.2010.10.012. CS1 maint: Uses authors parameter (link) "If ETI search for us just as we search for them, i.e. by scanning the sky at radio and optical wavelengths [...] the radiation that has been unintentionally leaking and intentionally transmitted from Earth may have already alerted any nearby ETI to our presence and may eventually alert more distant ETI. Once ETI become alerted to our presence, it will take at least as many years for us to realize that they know." ↑ Turnbull, Margaret C.; Tarter, Jill C. (2003). "Target Selection for SETI. I. A Catalog of Nearby Habitable Stellar Systems" (PDF). The Astrophysical Journal Supplement Series. 145 (1): 181–198. arXiv:astro-ph/0210675. Bibcode:2003ApJS..145..181T. doi:10.1086/345779. สืบค้นเมื่อ 2010-08-19. ↑ The Staff at the National Astronomy and Ionosphere Center (December 1975). "The Arecibo message of November, 1974". Icarus. 26 (4): 462–466. Bibcode:1975Icar...26..462.. doi:10.1016/0019-1035(75)90116-5. "A radio telescope in M13 operating at the transmission frequency, and pointed toward the Sun at the time the message arrives at the receiving site will observe a flux density from the message which will exceed the flux density of the Sun itself by a factor of roughly 107. Indeed, at that unique time, the Sun will appear to the receptors to be by far the brightest star of the Milky Way." ↑ Horvat, Marko (2007). "Calculating the probability of detecting radio signals from alien civilizations". International Journal of Astrobiology. 5 (2): 143–149. arXiv:0707.0011. Bibcode:2006IJAsB...5..143H. doi:10.1017/S1473550406003004. "There is a specific time interval during which an alien civilization uses radio communications. Before this interval, radio is beyond the civilization's technical reach, and after this interval radio will be considered obsolete." ↑ Stephenson, D. G. (1984). "Solar Power Satellites as Interstellar Beacons". Quarterly Journal of the Royal Astronomical Society. Royal Astronomical Society. 25 (1): 80. Bibcode:1984QJRAS..25...80S. ↑ "Cosmic Search Vol. 1 No. 3". Bigear.org. 2004-09-21. สืบค้นเมื่อ 2010-07-03. ↑ Learned, J; Pakvasa, S; Zee, A (2009). "Galactic neutrino communication". Physics Letters B. 671 (1): 15–19. arXiv:0805.2429. Bibcode:2009PhLB..671...15L. doi:10.1016/j.physletb.2008.11.057. ↑ Bostrom, Nick (2008-04-22). "Where Are They?". MIT Technology Review. สืบค้นเมื่อ 2015-06-21. ↑ Hamming, RW (1998). "Mathematics on a distant planet". The American Mathematical Monthly. 105 (7): 640–650. doi:10.2307/2589247. JSTOR 2589247. ↑ Singularity hypotheses: A Scientific and Philosophical Assessment. Dordrecht: Springer. 2012. pp. 1–2. ISBN 9783642325601. ↑ Long, K. F. (2011-11-25). 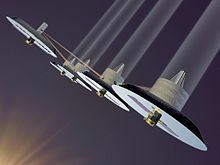 Deep Space Propulsion: A Roadmap to Interstellar Flight. p. 114. ISBN 978-1-4614-0607-5. สืบค้นเมื่อ 2015-06-23. ↑ Cook, Stephen P. "SETI: Assessing Imaginative Proposals". Life on Earth and other Planetary Bodies. p. 54. ISBN 978-94-007-4966-5. ↑ 117.0 117.1 Webb, Stephen (2015-05-18). If the Universe Is Teeming with Aliens … WHERE IS EVERYBODY? : Fifty Solutions to the Fermi Paradox and the Problem of Extraterrestrial Life. ISBN 978-0-387-95501-8. สืบค้นเมื่อ 2015-06-21. ↑ Zaitsev, Alexander (2006). "The SETI paradox". arΧiv:physics/0611283 [physics.gen-ph]. ↑ "Should We Call the Cosmos Seeking ET? Or Is That Risky?". The New York Times. 2015-02-13. ↑ "Declaration of Principles Concerning Activities Following the Detection of Extraterrestrial Intelligence". ↑ Michaud, M. (2003). "Ten decisions that could shake the world". Space Policy. 19 (2): 131–950. doi:10.1016/S0265-9646(03)00019-5. ↑ Ball, J (1973). "The zoo hypothesis". Icarus. 19 (3): 347–349. Bibcode:1973Icar...19..347B. doi:10.1016/0019-1035(73)90111-5. ↑ "Temporal Dispersion of the Emergence of Intelligence: An Inter-arrival Time Analysis". 2011. doi:10.1017/S1473550411000024. ↑ Baxter, Stephen (2001). "The Planetarium Hypothesis: A Resolution of the Fermi Paradox". Journal of the British Interplanetary Society. 54 (5/6): 210–216. Bibcode:2001JBIS...54..210B. ↑ Carrigan, Richard A. (2006). "Do potential SETI signals need to be decontaminated?". Acta Astronautica. 58 (2): 112–117. Bibcode:2006AcAau..58..112C. doi:10.1016/j.actaastro.2005.05.004. ↑ Marsden, P. (1998). "Memetics and social contagion: Two sides of the same coin". Journal of Memetics-Evolutionary Models of Information Transmission. 2 (2): 171–185. ↑ Gato-Rivera, Beatriz (1970). "A Solution to the Fermi Paradox: The Solar System, Part of a Galactic Hypercivilization?". arΧiv:physics/0512062 [physics.pop-ph]. ↑ Tough, Allen (1986). "What Role Will Extraterrestrials Play in Humanity's Future?" (PDF). Journal of the British Interplanetary Society. 39 (11): 492–498. Bibcode:1986JBIS...39..491T. ↑ Villard, Ray (2012-08-10). "Why Do People Believe in UFOs?". Discovery News. ↑ Speigel, Paul (2012-10-18). "More Believe in Space Aliens Than in God According To U.K. Survey". Huffington Post. ↑ Shermer, Michael (2011). "UFOs, UAPs and CRAPs". Scientific American. Nature Publishing Group. 304 (4): 90–90. Bibcode:2011SciAm.304d..90S. doi:10.1038/scientificamerican0411-90. ↑ Tough, A (1990). "A critical examination of factors that might encourage secrecy". Acta Astronautica. 21 (21, ): 97–102. Bibcode:1990AcAau..21...97T. doi:10.1016/0094-5765(90)90134-7. ↑ Vance, Ashlee (2006-07-31). "SETI urged to fess up over alien signals". The Register. ↑ "UFO Hunters Keep Pressing White House For Answers Through 'We The People' Petitions". The Huffington Post. 2011-12-06. ↑ Shostak, G Seth (2009). Confessions of an Alien Hunter: A Scientist's Search for Extraterrestrial Intelligence. National Geographic. p. 17. ISBN 978-1-4262-0392-3. Crowe, Michael J. (2008). The Extraterrestrial Life Debate, Antiquity to 1915. University of Notre Dame Press. ISBN 978-0-268-02368-3. Shklovskii, Iosif; Sagan, Carl (1966). Intelligent Life in the Universe. San Francisco: Holden-Day. ISBN 1-892803-02-X. Webb, Stephen (2002). If the Universe Is Teeming with Aliens... Where Is Everybody? Fifty solutions to the Fermi Paradox and the Problem of Extraterrestrial Life. Copernicus Books. ISBN 0-387-95501-1. Webb, Stephen (2015). If the Universe Is Teeming with Aliens... Where Is Everybody? Seventy five Solutions to the Fermi Paradox and the Problem of Extraterrestrial Life (2nd ed.). Copernicus Books. ISBN 978-3-319-13235-8. Michaud, Michael (2006). Contact with Alien Civilizations: Our Hopes and Fears about Encountering Extraterrestrials. Copernicus Books. ISBN 978-0-387-28598-6. Sample, Ian (2007-01-18). "So much space, so little time: why aliens haven't found us yet". The Guardian. Leonidovich Zaitsev, Aleksandr (Translator). Overcome the Great Silence (Translation of the documentary ed.). หน้านี้แก้ไขล่าสุดเมื่อวันที่ 22 มีนาคม 2562 เวลา 09:39 น.